When that first delightful spring breeze starts blowing, you know it's time to get your house in shape. The warmer weather and the brilliant sunshine pouring through your windows can fill you with boundless energy. You're going to banish those dust bunnies! Every piece of useless clutter must go! You are on a mission to turn your home into a sparkling palace that is completely free of junk. But there's more than just a neat house awaiting you at the end of all that hard work. Here's how you can spring clean your way to riches – well, almost. You won't become a millionaire from your junk, but you'll put some spare cash in your pocket just by taking a few extra steps while clearing out the clutter. And that's always a good thing! Don't throw out that digital camera or printer just yet! Gather all the old gadgets and devices you no longer use and bring them to your local electronics store. They'll likely offer you a gift card for your treasures. Some larger chain stores, like Best Buy, even run a retail-collection program to help you responsibly dispose of your old electronics. You'll earn a gift card that can help you save money on your next purchase. Your outdated clothing from the '90s might just be someone else's idea of high fashion today. We're looking at you, neon jeans! Instead of filling your local dumpster, bring your old clothing to the neighborhood consignment shop and see what they're willing to take. If you're open to traveling a bit, you can search for consignment chains that might be a little further out, like Plato's Closet for teens and 20-somethings; Clothes Mentor which resells designer clothing for all ages; and Once Upon a Child, a chain that specializes in children's clothing and toys. You can also look up consignment shops online, like ThredUp, Tradesy or Poshmark. And if all else fails, there's always eBay! If you've got a serious gamer at home who always needs the latest and greatest, consider trading in your old games at GameStop. You'll get a store credit that will help support this relatively costly habit and you'll get rid of that huge pile of video games at the same time! Books take up lots of room, and if no one's reading them, why not get rid of them for good? Look up your closest Half Price Books locations and bring your collection over to them in exchange for a tidy sum. If you've got a stack of textbooks lying around, earn back some of the money you shelled out for them by selling them online on BookFinder, Cash4Books or eCampus. If you've got some older smartphones or laptops that are in decent condition, they should be able to fetch you a pretty penny. Try selling your stuff on Gazelle.com. They offer free shipping, and once your item is officially logged by the company, you'll get paid via check, gift card, or PayPal. It's an easier, faster option than selling on Craigslist or eBay. Do you have a pile of gift cards you will never use? It's time to get rid of the whole lot – and make some money on the side! There are loads of sites that offer a gift-card exchange service, and though you may not make back the full amount, you'll usually land a decent offer. Besides, if these cards were originally given to you as gifts, any money you make off them is extra. Try your luck with your gift cards at giftcard.com, giftcardgranny.com or tradya.com to fatten up your wallet with greenbacks instead of useless cards. Donating unused clothing toys, or electronics to charity might be the easiest way to get rid of clutter. You'll be helping out a worthwhile cause and making someone else happy with your belongings. As an added bonus, donating goods to charity will earn you a tax deduction, so long as you keep your receipt. Thrift shop chains like Goodwill and the Salvation Army will happily accept clothing that's in decent condition, all kinds of housewares, used furniture, toys, gadgets and more. You'll be making someone else's day and earning a tax break at the same time. 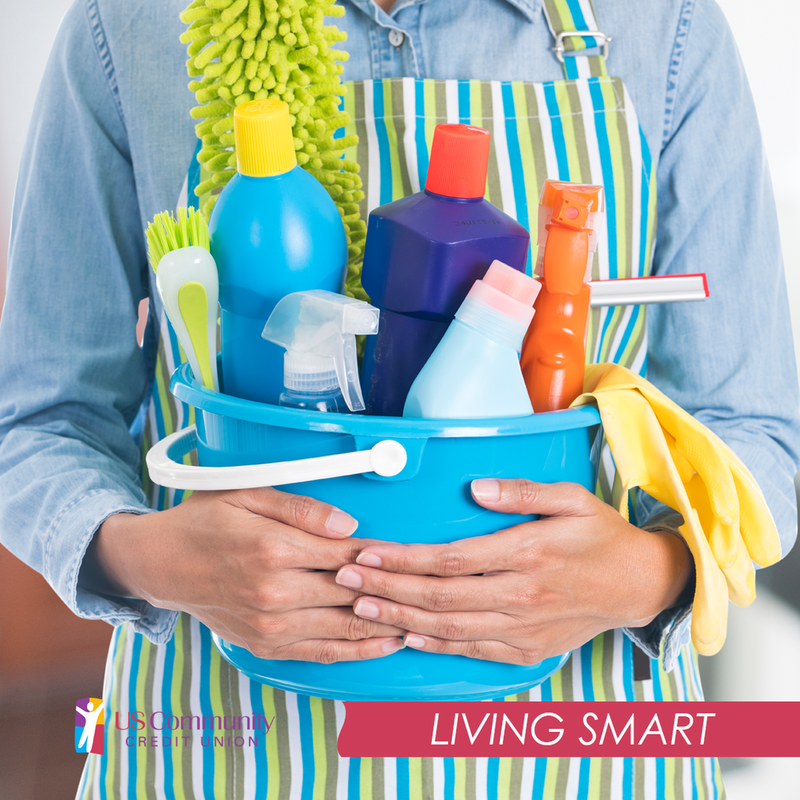 Spring cleaning is a chore that's gotta be tackled with lots of energy, time, and hard work. With a bit of extra planning, you can earn some cash in return for the work. Your Turn: Have you spring-cleaned your way towards extra cash? Tell us what worked for you in the comments!